How To Upgrade Windows Vista To Windows 7 ? As you know, windows-7-multi-touch-driver-arrives/">Windows 7 is the newer operating system from Microsoft, which is in talk these days. If you are running Windows Vista, it is sure for you to install Windows 7 in your how-to-optimize-mysql-database/">system. 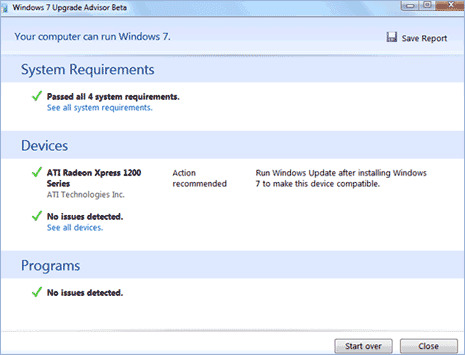 If you are using operating system other than Windows Vista, you have to go for quick check using Windows 7 Upgrade Advisor tool. how-to-use-windows-7-calculator-in-windows-vista/">Want to use Windows 7 Calculator in Windows Vista ? This tool will some-usefult-tips-for-windows-vista/">disclose you that, whether you can install Windows 7 or not. Moreover, this tool will check for various devices and programs upcoming-features-of-windows-7-windows-leakes-screenshots/">compatibility with your current system setup. 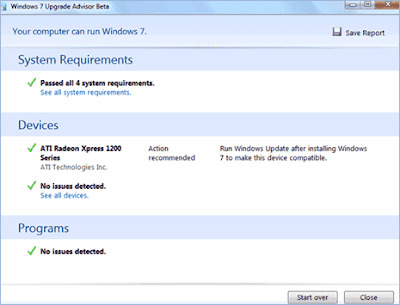 It will also give suggestion regarding which components can be updated for energetic Windows 7 experience.